Press On Heroes are families who have been personally touched by childhood cancer and have joined Press On in the race for a cure. 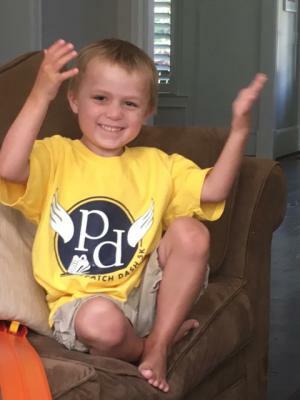 Some Press On Heroes are in the midst of their child’s battle against pediatric cancer. Some have experienced the devastating loss of a child to these horrendous diseases. Other Heroes have watched a family member or friend fight for their life. All of our Heroes are inspired by these brave children and have committed to help fundraise for Press On. Read their stories and share their inspiration and passion to Press On for more effective, less toxic therapies for childhood cancer. Utterly, the most important factor that is considered while purchasing medicaments from the Web is to make a best choice. To purchase medicaments online from a privileged web-site is safe. Other medicaments are used to treat complaints such as hair loss. What about buy propecia online and alopecia? Very likely every adult has heard about buy propecia. (Read more finasteride online). A extended medical state present is hair loss. What medicine does treat alopecia? Most of patients using this medicine mostly do not have any side effects to Finasteride. Even if this remedy is not for use in women, it is not known whether this generic could harm a nursing baby.